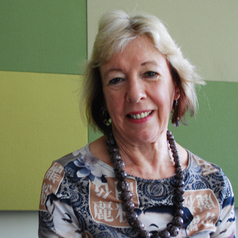 Professor Suzanne Benn is Professor of Sustainable Enterprise in UTS BusinessSchool. She was previously Professor of Education for Sustainability, Director of ARIES and Head of the Graduate School of the Environment at Macquarie University, Sydney. Suzanne has a background in the sciences and the social sciences. She has had wide experience working across the range of educational sectors and as a research and industrial scientist. Her current research interests range across corporate sustainability and corporate social responsibility, business education for sustainability and organisational change and development for sustainability. Her interdisciplinary academic publications include four books and more than 90 refereed journal articles, book chapters and refereed conference papers.